Rani Mukerji will be back to the silver screens after a long hiatus of three years with the film Hichki. The actress is these days busy promoting her upcoming film which will mark her return in Bollywood. 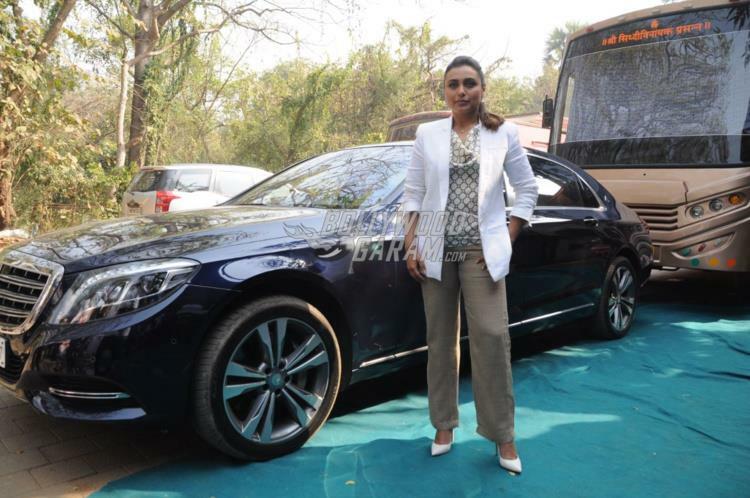 Rani looked elegant in brown pants, a printed top and a white blazer with white pumps. The actress is working hard in terms of promotions and is trying her best to introduce the film at every possible platform. Rani at the promotional event was seen posing for selfies with fans and also autographed a few posters for fans. The Mardaani actress was all smiles and poses for the shutterbugs. The film Hichki was expected to be released in theatres on February 23, 2018 but has been postponed to March 23, 2018 so as to avoid the board exam time in the country. Rani will be seen playing the role of a teacher who suffers from Tourette Syndrome. The trailer of the film was recently released and has already garnered a lot of attention from the audience and critics.